If you have any questions about this product by Snow & Nealley, contact us by completing and submitting the form below. If you are looking for a specif part number, please include it with your message. 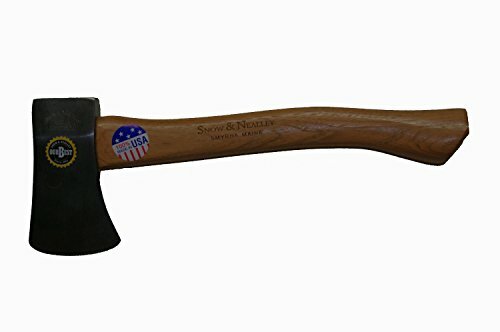 Estwing MFG Co E2H Carpenter's Hatchet Leather Grip 3-5/8"
Meccion 16 Inch Splitting Axe, Carbon Steel Forged Chopping Axe with Fiberglass Handle Composite Hatchet for Cutting, Splitting, Pruning, Chopping Wood, Logs and Timber.